What a surreal moment to walk down the halls of HBO in NYC and into the theatre where a picture of you and your book are staring back at you from the screen. 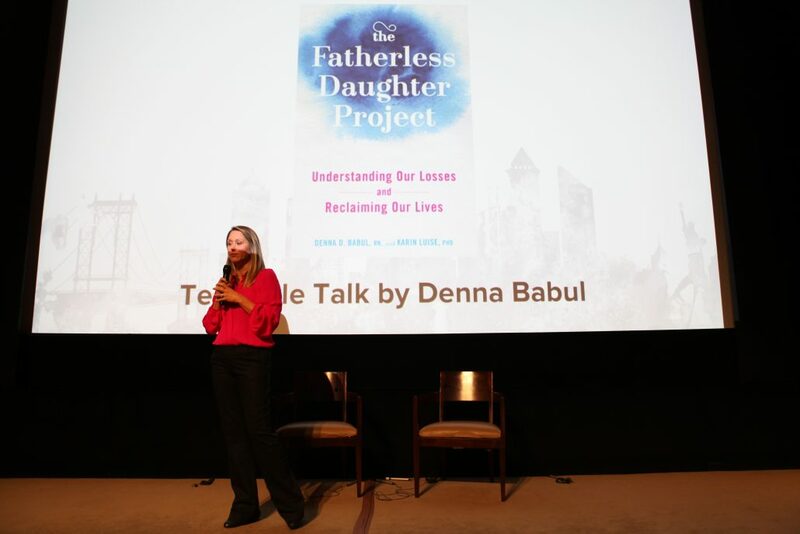 I was so moved to be part of such an excellent expert line up speaking on parent loss in NYC last week. I was joined by Cara Belvin of EMPOWERher, Hope Edelman of Motherless Daughters, Rebecca Soffer who co-wrote Modern Loss, Meghan O’Rourke who wrote The Long Goodbye, Cynthia Whipple who help found The Conversation: Stories that Matter, and so many more amazing people dedicating their lives to helping people through grief. What a rewarding experience! 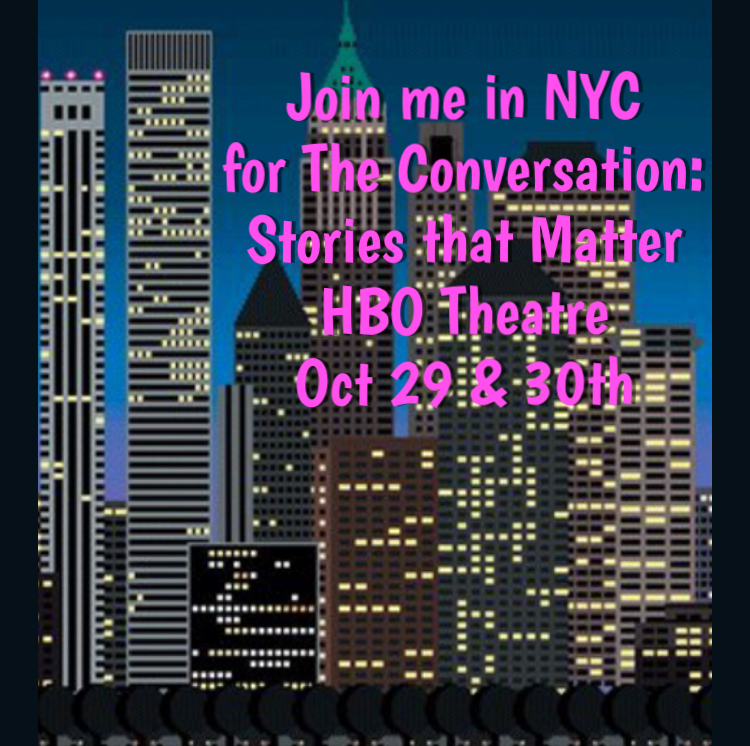 Join me OCT 29 & 30th in NYC for The Conversation: Stories that Matter as we discuss parent loss. Losing a parent divides your life story into a Before and After. In The Conversation, people share their personal stories of surviving and using their loss as a springboard for a happy, fulfilled life. The second annual Conversation: Stories that Matter – parent loss is a single-topic conversation series that highlights personal, honest stories from extraordinary speakers with unique stories to tell about parent loss at any age. October 30th will feature notable bereavement experts as Hope Edelman, author of Motherless Daughters and Motherless Mothers, Denna Babul, founder of The Fatherless Daughters Project, and Allison Gilbert, journalist and author of Passed and Present. There will be a candid interview with one of the fathers featured in The Group: Seven Widowed Fathers Reimagine Life. Also, a moderated panel discussion will focus on how daughters and sons are defined, shaped, and inspired by a parent’s death. Click here for more information.